This Belkin AC1200 review is for users who are looking for a network solution that provides all-around stability, high-speed surfing, gaming, and streaming, as well as a cost-effective and reliable home-networking. This model provides a great range of features and performance specs that rival any other product in the price range. It is geared to handle capacities expected from intense online gaming on current generation platforms, as well as providing seamless networking and in-home streaming across connected devices, as well as from streaming platforms such as Netflix and Twitch. This makes it an ideal product not only for users of a home network but also for those with high demands on bandwidth such as online gamers using a PS4, Xbox One, PC or Mac. 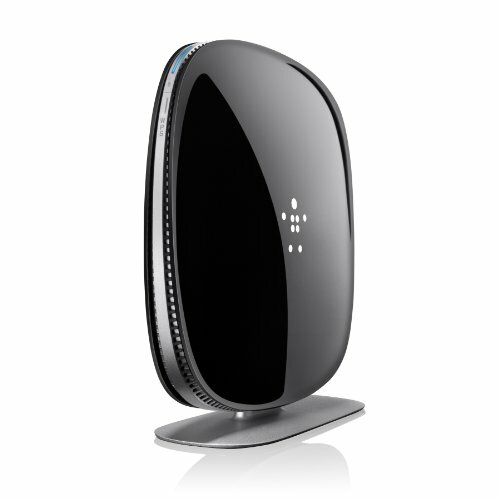 By further reading our Belkin ac1200 review it will show you for whom this router is and who should not buy it. Some of the most positive reviews of the Belkin regard its reliability, speed, and customizability. The AC1200 is also highly praised for its Wi-Fi range with fewer instances of devices dropping connections over the WAN network. In terms of speed, the AC1200 outperforms all of its predecessors with brand loyal users reporting much higher speeds than their ‘N’ or ‘G’ framework routers. On the negative side, a few users have reported difficulties in terms of setting the device up, often as a result of software incompatibilities. While this steered them away from software installations that would add additional functionality to the router, in almost all cases the router could easily be set up using the URL interface. These software issues have, by and large, been addressed by the team at Belkin, with updates and installation suites being available for download from the website if need be. Technical support staff at Belkin are also eager to walk customers through any troubleshooting issues they may have. Despite the few minor drawbacks in terms of reading the hardware and software for use, once you get past that, the AC1200 provides remarkable reliability, speeds, and coverage, making it well worth the purchase. The AC1200 is ideal for home networks that value reliability and connectivity over high speeds, providing an elegant networking solution for home setups with average bandwidth requirements. Surfing the web, checking emails and engaging in online play are all done smoothly and effortlessly with this product; making it right for those who need fairly simple networking solutions. The products Wi-Fi coverage is its strong point, meaning it is the perfect device for households that make use of plenty of wireless connections since the device can support and connect with up to 32 wireless devices at the same time. Despite all of these strong points, the AC1200 lacks a little in terms of sheer speed and bandwidth allocation. Which means it may not be the ideal solution for those looking to benefit from home streaming, sharing games, or engaging in online play from more than a handful of devices at the same time. Unlike other items in the price range, the router lacks a dual-core processor which goes a long way towards managing the flow of data over the network. Because of this, the AC1200 is better suited to smaller, simpler networking tasks. So, if you are looking for sheer performance, this might not be the product for you. Performs up to 2.8x faster than previous devices with N Technology on-board. Backward compatible with devices that support both ‘N’ and ‘G’ technology. Dual-Band speeds for multiple support of devices that enable movie streaming as well as online play. Simple to setup using Belkin’s web-based setup page that is accessible from any connected device, requiring no external software to set up. Reliable after sales services and support from the support center. Internal antenna, 4-port Gigabit switch and vertical status, WPS and USB LEDs. Simple to manage web-based setup interface. Supports up to 32 WAN and 4 LAN connections. Dual USB ports to support storage and a printer. Very good performance at the 5GHz band, decent at 2,4 GHz. No mobile apps or widgets. Slow file transfer speed over USB port. Supports only two spatial streams on each band. We will now present the features in our Belkin ac1200 review. It provides optimized performance that offers reliable, high-speed coverage for all of your Wi-Fi devices at speeds of up to 2.8 times faster than current N Technology provided by older Belkin router models. This ensures that more devices can be connected while minimizing reliability issues, network drops, and high pings. This makes it ideal for homes with multiple devices putting a strain on bandwidth where proximity and speed might be an issue for Wi-Fi users. The AC2500 is the perfect solution for those with high bandwidth needs such as online gamers and those looking to stream media to and from their PCs, gaming consoles, Smart TVs and mobile devices. It’s QoS automatically prioritizes bandwidth for video streaming and online play, making it perfect for media setups and gaming enthusiasts that put high demands on bandwidth usage while expecting smooth play and streaming at all times. For gaming and streaming on multiple devices, the AC2500 provides dual-band speeds of up to 300Mbps on 2.5GHz networks and 867Mbps on 5GHz ones. This means that the router can deliver maximum speeds on multiple devices at once, meaning no users on the network need to sacrifice on speed and reliability when others stream or play online. This, in conjunction with the high-powered signal from the provided MultiBeam antenna technology, ensures that the router provides superior coverage on Wi-Fi networks all over the home. The Belkin comes packed with a small documentation flier, an installation booklet, a wall power adapter, a small Ethernet cable, a stand for it, a warranty which is only available if you save the receipt and of course, the modem itself. Belkin AC1200 is for small but functional home networks that require limited bandwidth but larger areas of connectivity, the AC1200 is the perfect match for a variety of users. The item also comes with Belkin’s promise of reliability, lifespan, and affordability which have made most of their previously manufactured devices a success. While it may be suited to tasks such as limited online play and net capability, it is the devices superiority in terms of Wi-Fi range. Its cost-effectiveness versus its functionality, and its sheer reliability and compatibility with a range of devices which makes this product a superior one. I hope you liked our Belkin AC1200 review.